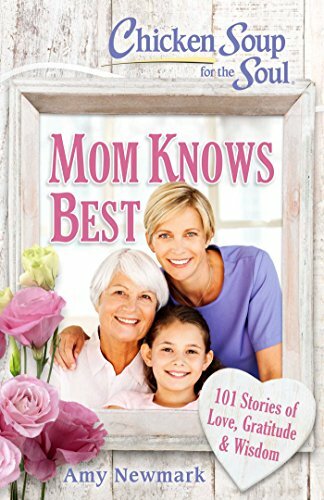 Chicken Soup for the Soul: Mom Knows Best, releases today. In it I tell a story about my wonderful mom. My mom went to heaven just three weeks short of her 95th birthday, and I miss her every day. Especially on special days when I always received a card in the mail. She should have been a major investor in Hallmark cards, and in a way, she was. She gave cards for birthdays, Christmas, Valentine’s Day, St. Patrick’s Day, Easter, Thanksgiving Day, and even when we had something special happen, like the birth of a grandchild. This past New Years I took some time to read many of those cards and letters. Words that touched my heart. Some were sweet. Some were funny. All of them were perfect for that season of my life. The cards became landmarks of my years, history of my days, and touch points of love. In her later years, I spent hours and hours in the card aisle with her looking for just the right card. She’d plop down on her walker and I’d help her by handing one and then another and another for some special occasion—a birthday, wedding, get well, holiday, to cheer someone up or to welcome a baby. We’d be there for a long time while she rejected many I picked so that she could chose just the right one. That’s who Mom was. Someone who cared. Someone who loved people. Someone whose life touched ours in a special way. I think that Hallmark lags way behind my mom in the caring, touching, loving category. In my book, she is number one. So every time I pass the greeting card aisle or get a birthday card, a Christmas card, or any card at all, I remember my mom and thank God that she touched my life. This is just part of the eulogy I gave her. The rest of it is in the newest Chicken Soup for the Soul: Moms Know Best, a complilation of 101 stories about Moms. Check it out here!